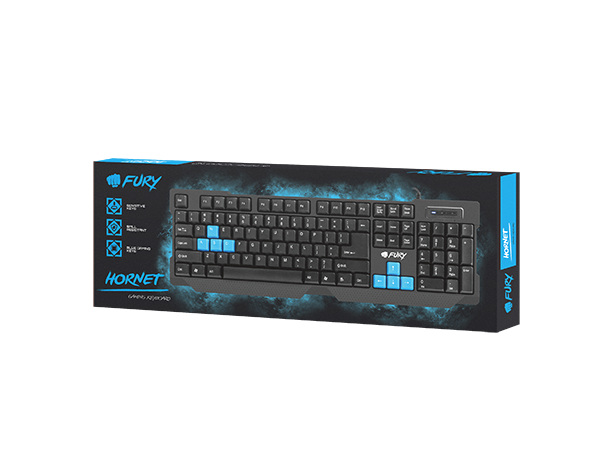 The functional Fury Hornet gaming keyboard is a balanced combination of durability and proper key reaction which gives gamers an effective weapon to use in their conquest of the virtual world. Thanks to high key travel, each of the Hornet’s 104 keys reacts very quickly. This will allow gamers even more efficient gameplay and may decide of the ultimate victory. Every key on the Hornet keyboard has been additionally coated with a layer of varnish, which increases durability and prevents fast wear of the keys, even when used frequently. 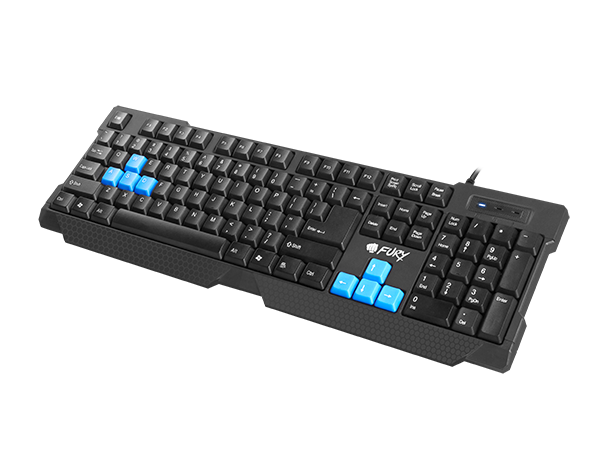 The Hornet is designed in a way which immediately gives the impression of gaming hardware. 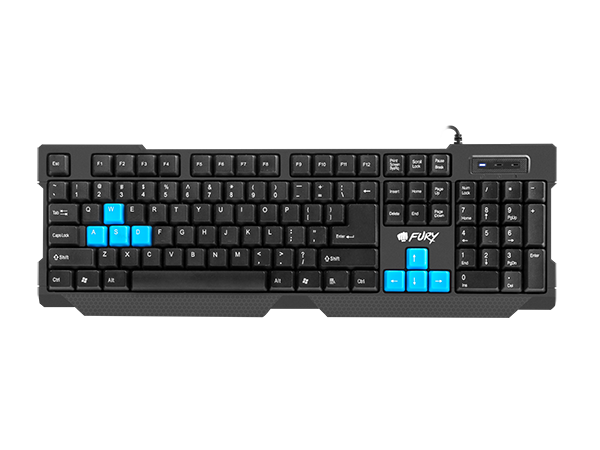 Its design and special blue highlight of essential keys will make every gamer feel good having this unique weapon under their fingertips.